Looking for something different for your event? 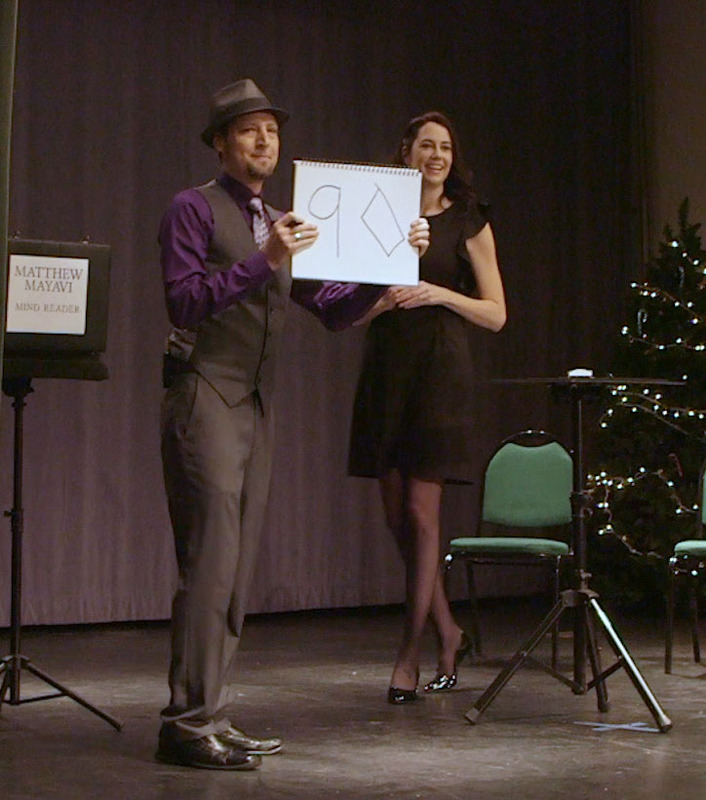 Matthew's astounding mind reading act is fun, engaging, and gets everyone involved. Whether you're throwing a party, organizing a corporate event, or need someone to help maximize your impact at a trade show, Matthew Mayavi can bring something amazing and memorable to nearly any type of event. Is mind reading really possible? Can someone else know what you are thinking? Is it possible to tell when someone is lying? Matthew's act will attempt to demonstrate the impossible and answer these questions once and for all. Matthew did an extraordinary job entertaining my dinner party guests. We were all captivated by his performance and definitely stumped on how he knew what we were thinking! Thank you so much Matthew!! Thanks Alexis! I had a lot of fun and it was great to meet your family and friends (and your dog !). Matthew did a great job entertaining our guests of all ages! Everybody loved him and was amazed by his performance. We will definitely hire him again for our next event. Thanks! You guys were such a fun group and a pleasure to perform for! We're still scratching our heads...in a good way! The readings afterwards were essentially done using symbolic "tarot" type cards, and were interpreted very thoroughly. Overall a great value for a thoroughly enjoyable performance and readings, which made our evening extra special. Matt is a very professional, easy to work with, funny and entertaining person. I'd recommend him to make any event extra memorable! Thanks Donna! I had a really good time. Your friends and family are a really great group! I hired Matt for my husband's surprise 40th birthday dinner party to entertain our group of 15. My husband has been a fan of magic and was magician himself as a kid and still dabbles today a bit. Let me say that, Matt entered our private dinner at a local establishment appearing as a "party crasher".. my husband was about to turn the tables on him thinking he would invite the "party crasher" to pull up a chair... boy did my husband get played! He was shocked to find that Matt was there to entertain us with his mentalist abilities. He captivated our group and left us in awe! He is extremely talented in his craft! Had us all talking into the next day! Truly talented, very easy to communicate with prior to the event, and was punctual and prepared in advance. I am so pleased with my decision to use Matt. We have talked about hiring Matt again for other work related events as our entertainment. You won't go wrong with hiring Matt to entertain your crowd!! Thanks Dawn! It was a pleasure to meet your family and friends, and I had a blast being there. I'm glad your husband's birthday was a success! 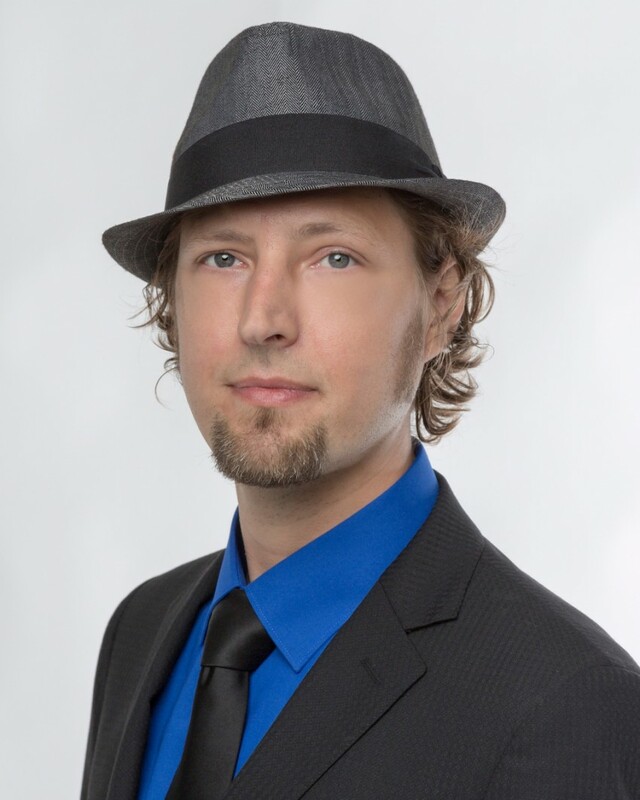 Matthew's astounding act will guarantee that your event will be remembered for a long time. 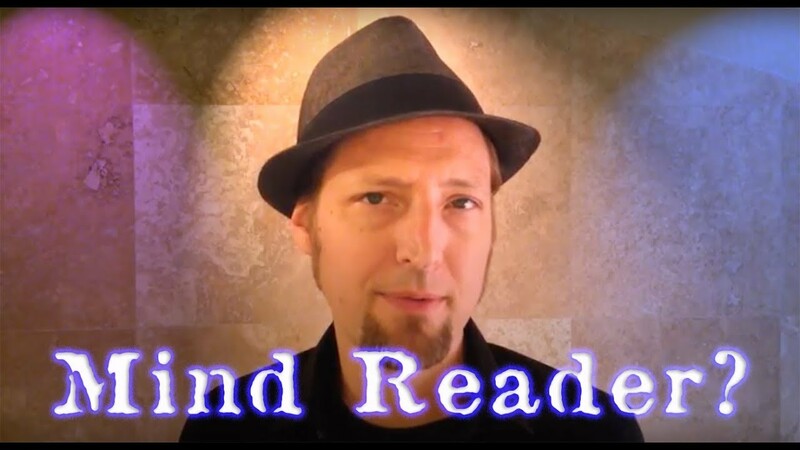 He can present amazing feats of mind reading to small or large groups. He'll somehow know things that your guests are only thinking of, including names of loved ones or childhood friends, birthdays or important dates, places in the world, words chosen at random from books or a dictionary, or drawings that he's never seen. He is funny and engaging and is happy to create a custom program especially for your event. 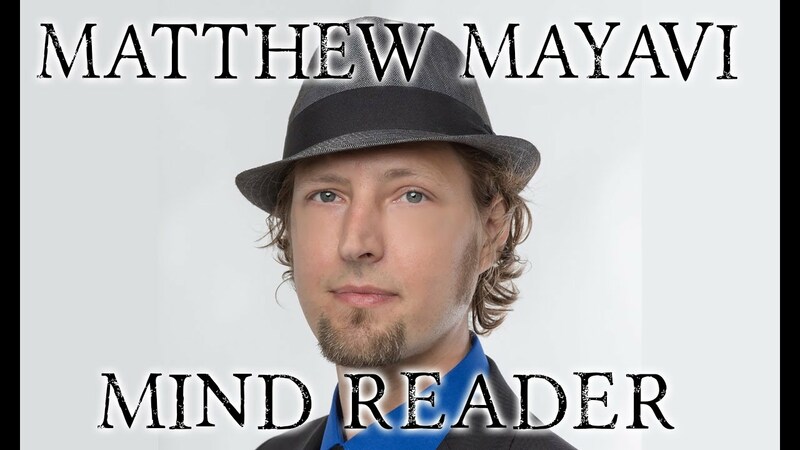 Matthew Mayavi has been interested in psychic phenomena and magic since he was a child. He has performed astounding feats of mind reading on stage and in close up settings for nearly a decade. He can perform in most kinds of environments, though especially noisy or especially dark conditions can be a challenge.